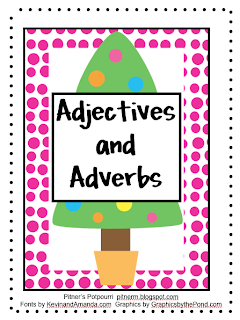 Here's a game to play as part of your whole group instruction to review adjectives and adverbs. Divide your class into teams. Set a timer for ten minutes. Teams take turns drawing cards. They must tell if the word is an adjective or adverb and use it correctly in a sentence. They get to keep the card if they complete each task correctly. The team with the most cards at the end of ten minutes wins. Put the cards in a literacy station for extra practice. Just click on the pic above to get the game cards. So functional! Thanks for sharing! This will be fun to review in the coming weeks before winter break! Thanks for sharing! Ready to Regroup - 2 for 1 Freebie!